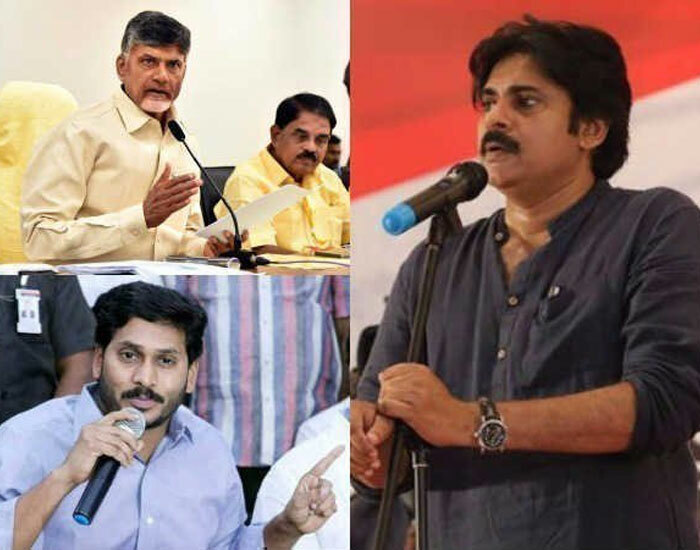 Why TDP Loyalists Prefer Pawan to Jagan? Did you know? Some of the TDP's loyalists who lost faith on the victory of TDP are desperately wishing Janasena chief Power Star Pawan Kalyan to be the new Chief Minister of Andhra Pradesh. Here is the story. The ruling TDP has been facing an anti incumbency due to corruption allegations against it. It was alleged by opposition parties that the TDP indulged in land mafia, sand mafia, Amaravati and Polvaram project corruption etc. On the other hand, CBN is struck with the fear of defeat and is desperately playing a drama on EVMs and VVPATS which was understood as the TDP's men that the party would be losing elections. In such case, whom do TDP loyalists want the new CM of AP? It's learnt that they preferred Pawan Kalyan to YS Jagan. "YS Jagan previously indulged in corruption practice and was went behind the bars. And this track record of YS Jagan turned out to be a blot in his career at the moment. If at all Jagan becomes the CM, obviously, he wishes CBN should also be sent to jail like him. Besides, Jagan will get benefited politically. As a result, he may take the issue personally and would let CBN arrested on the charges of corruption. Many YSRCP's leaders have already proclaimed that CBN would be sent to jail in YSRCP's government," says a TDP loyalist. "If at all Pawan Kalyan becomes the CM, he just thinks of the ways how the victims are done justice who suffered with government's corruption. Pawan Kalyan stated many times that he always would protest on issues but would never target anyone personally. As a result, CBN maybe saved. Of course, as per the slogan, 'Chattam thana pani thaanu chesuku pothundi', if any person approaches to the court on CBN's corruption and so will the action be taken by the law accordingly," opines another TDP activist.